People walk past a protective board outside Buckingham Palace in London, Britain, September 14, 2017. LONDON - Police said they had arrested a woman who was trying to scale the gates of Queen Elizabeth’s Buckingham Palace home in central London, saying the incident was not terrorism-related. “The woman, believed to be in her 30s was quickly detained by officers before she gained access to the palace grounds,” police said. She was arrested on suspicion of trespass and is being questioned at a central London police station. “The incident is not being treated as terrorist-related,” police said. 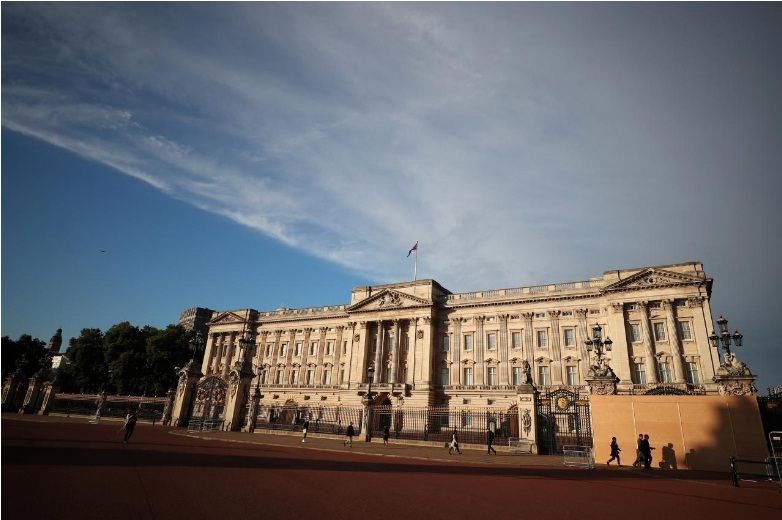 Police said they had arrested a woman who was trying to scale the gates of Queen Elizabeth’s Buckingham Palace home in central London, saying the incident was not terrorism-related.